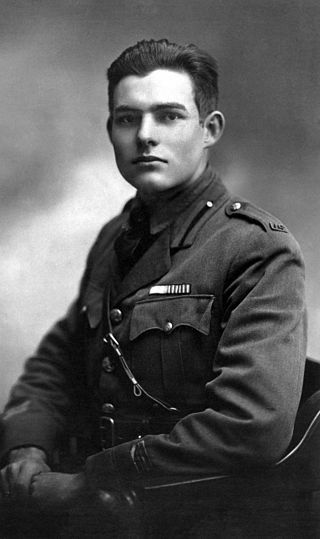 Before becoming a Nobel-prize winning author, Ernest Hemingway spent his daily grind working as an ambulance driver on the Italian Front during the First World War. After being rejected by the U.S. Army due to his poor eyesight, the would-be writer found himself serving in the International Red Cross in the midst of a bloody Austro-Italian front which saw some of the fiercest skirmishes in the late period of the war. The men on both sides were faced with difficult mountainous terrain and harsh winters. Just two months into his service, on July 8, 1918, the 18-year-old Hemingway was caught by a mortar blast which left him severely wounded. At the time, he was delivering chocolate and cigarettes to the men of the 69th infantry regiment who were holding the line along the river Piave, which ran across the Dolomites mountain chain in the Italian Alps. 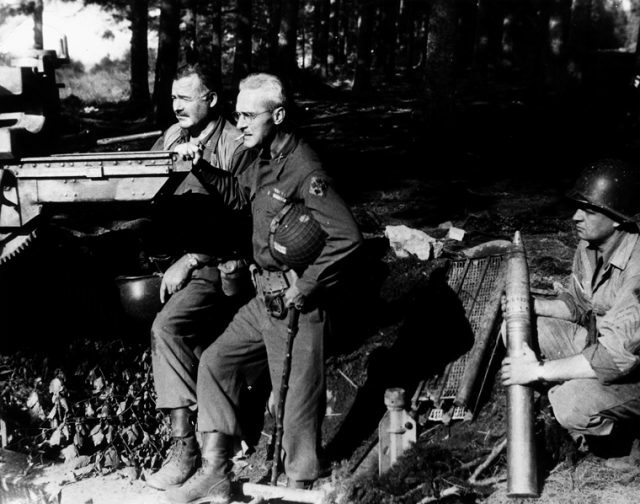 Ernest Hemingway and Colonel Charles T. “Buck” Lanham with captured artillery in Schweiler, Germany, 18 September 1944. 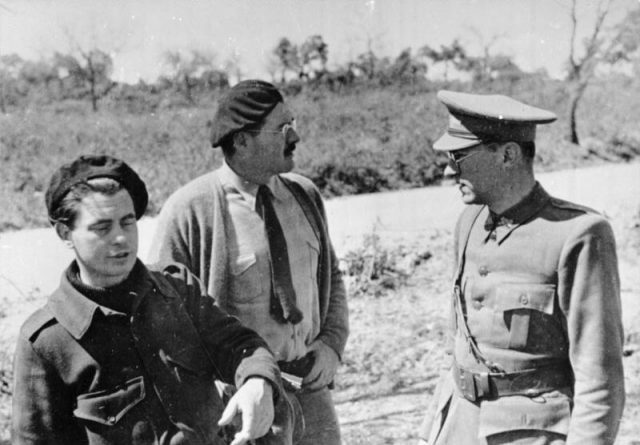 Regardless of his wound, Hemingway assisted other soldiers to pull back ― a feat which earned him the Italian Silver Medal of Bravery, and enabled him to write vividly of the war in his 1929 book A Farewell to Arms. However, there is another side to this story. The mortar shell which landed him in a hospital would have been deadly, if the blast wasn’t absorbed by another soldier who took the direct hit, standing right next to the man who would in many ways define American literature of the 20th century. While the young American stretcher-bearer was badly wounded, the soldier that stood next to him was shredded to pieces. The identity of the soldier who unwittingly gave his life to protect Hemingway has remained a mystery in the numerous biographies and papers regarding the life and work of the great modernist writer. A recent discovery made by a pair of researchers suggests they might have finally solved the mystery of the man who died so that a future writer could live. James McGrath Morris, author of The Ambulance Drivers – Hemingway, Dos Passos and a Friendship Made and Lost in War, and Marino Perissinotto, an Italian amateur historian, conducted a thorough search for the man who died that day. According to their 2019 statement for The Telegraph, they are “very confident” that they have finally found him. The Italian-American duo worked out a system of elimination to determine which of the 69th infantry regiment members were killed on that fateful day in July and which of these were killed by a mortar shell blast. The selection process included 18 men, all of whom were killed on that day on different segments of the front line. 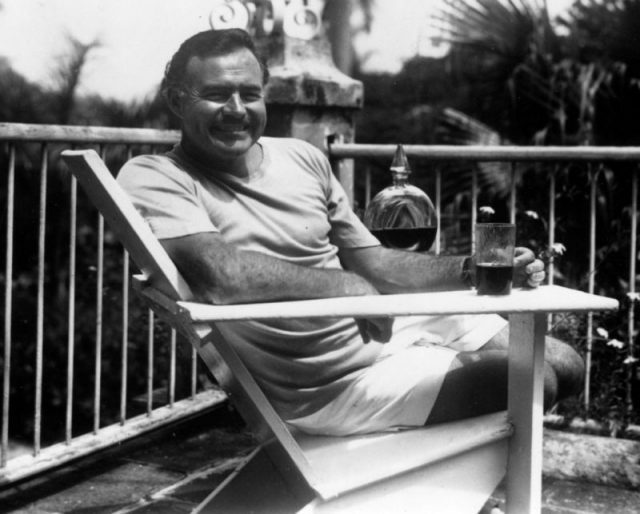 Photograph of Ernest Hemingway at the Finca Vigia, his home in Cuba. It was fairly easy to conclude that 15 out the 18 candidates were not even close to the vicinity of that particular mortar blast, leaving only three potential options. However, two of them were part of the 152nd infantry regiment and were stationed about two miles behind the front line, manning the support trenches at the time. Although it was possible (but highly unlikely) that some of the men from the 152nd regiment were present at the spot, a military report discovered by McGrath’s Italian counterpart clearly stated that the American ambulance driver was found next to a dead member of the 69th infantry regiment, reducing all possible doubt. Supported by this report, McGrath came to the only possible conclusion ― the man who died beside Hemingway, consequently saving his life, was named Fedele Temperini. He was a 26-year-old private of the 69th infantry division, originally from a small town of Montalcino, in the Tuscan region. Other Italian military records also support this claim, stating that Temperini had, in fact, died on July 8th, “from wounds sustained in combat,” in the same sector of the front where Hemingway was hit by shrapnel. Shortly after this discovery, an initiative made by Italian historians was launched for Fedele Temperini’s name to be inscribed on a memorial dedicated to the soldiers who fought and died on the Piave river. 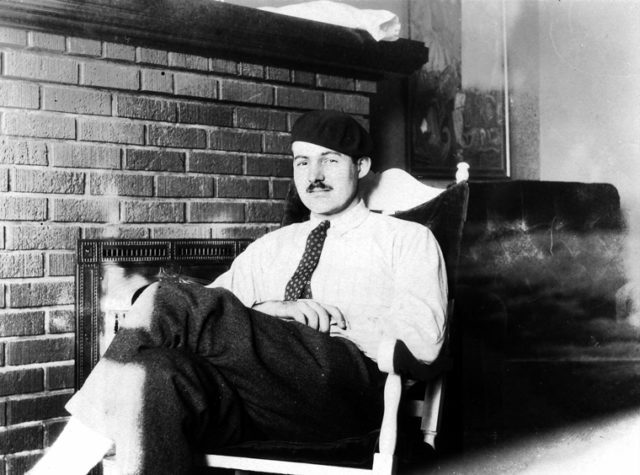 As for Hemingway, the entire ordeal proved to be very lucrative in the creative sense, for the time he spent in hospital was used extensively as source material for A Farewell to Arms, which was an instant hit, and continues to be among his most popular literary work. The novel, which is a fictionalized account on the time he spent in a hospital in Milan, centers around the protagonist’s love affair with an English nurse named Catherine Barkley. 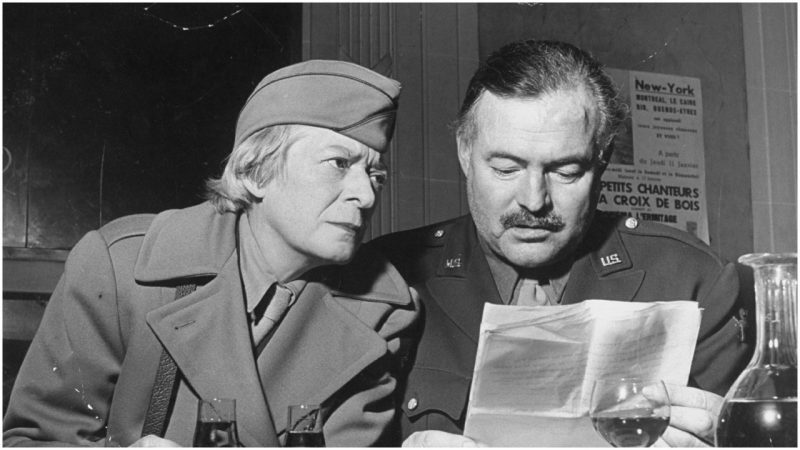 Barkley’s character was also based on a real-life person, Agnes von Kurowsky, an American nurse who indeed did have a short-lived relationship with Hemingway while he was recovering from his wounds. 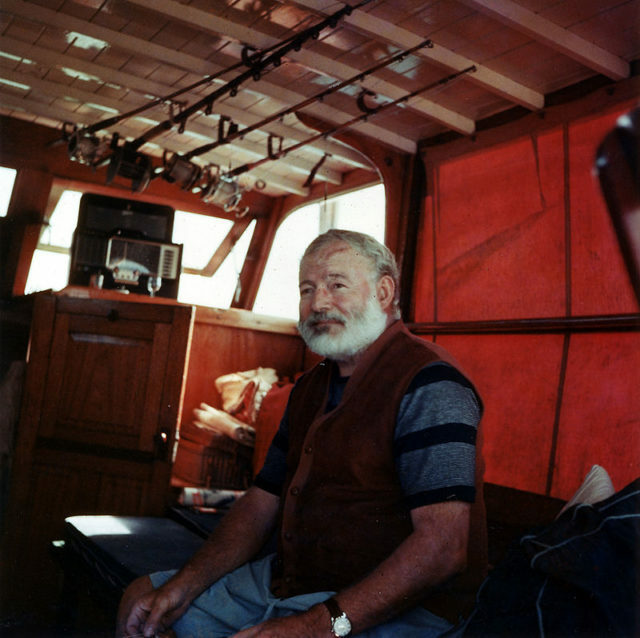 Hemingway’s life has long been a subject of various investigations, for the “bon viveur” of American literature indeed spent a life of adventure worthy of the characters described in his books. After WWI, he became part of the growing intellectual scene in Paris, worked as a war journalist covering conflicts in Spain, China, and Europe during WWII, while also nurturing a hedonistic lifestyle in Cuba and writing a series of successful novels that would re-define the way we perceive writing itself. All of this would be impossible if there wasn’t for Fedele Temperini who took his place among the dead. On the other hand, perhaps it is because the writer survived that he managed to strive for such greatness? The latter question remains hypothetical, but in the light of this recent discovery, we are safe to say that the former claim is nothing but true.